Free Shipping Included! 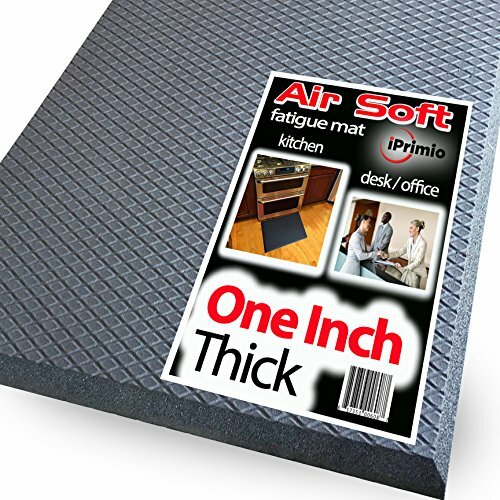 iPrimio Anti Fatigue Floor Mat for Office, Standing desk and Kitchen – 30” x 18.5” Large Size Extra Soft Comfort Mat – 1 Inch Mat Thickness with Air Soft Ergonomic Cushion - Phthalate Free Material by iPrimio at Turuya 7. Hurry! Limited time offer. Offer valid only while supplies last. View More In Comfort Mats. If you have any questions about this product by iPrimio, contact us by completing and submitting the form below. If you are looking for a specif part number, please include it with your message. Counter Art 'Sunflowers in Bloom' Anti Fatigue Floor Mat, 30 x 20"
Counter Art 'Wine Country' Anti Fatigue Floor Mat, 30 x 20"